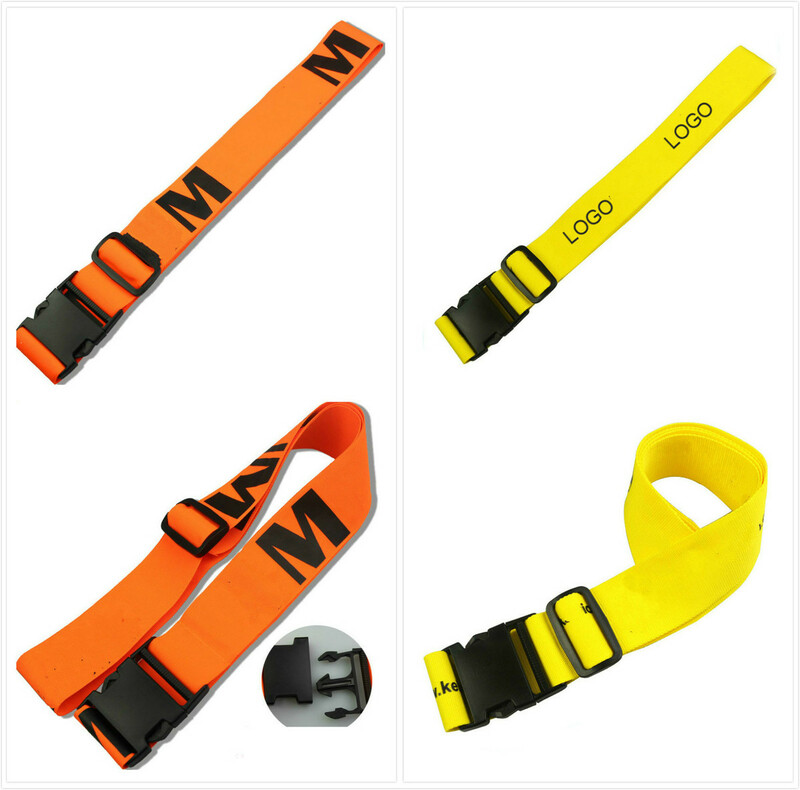 The travel luggage belt is made of polyester, Adjustable strap with secure buckle closure ensures security. It can easily be stored in a suitcase or duffel bag. Welcome your logo and PMS colors. Package: 100 pc/opp bag, 200 pcs/ctn,55 lbs/ctn.